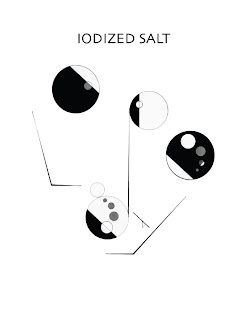 My poetry book "Iodized Salt" volumes 1, 2, and 3 have now been fully edited. I am currently working on the illustrations and formatting the work for publication in printed page and ebook form. I have quite a bit of the illustrations completed at this point, i just have to keep going, there are lots of picture pages in these books. Here is a quick look at the inside cover page. This image is without the borders, as it will take me some time to complete my formatting work on this it wont have borders for a while. The poetry is rhythm based work, and I intended it to read like a painting- as a visual experience. I predict that I will have this all complete by the end of March/April 2012 and then in print by May/June.